Poll results: Are you currently paying for phone insurance? We asked you yesterday whether you are currently paying to insure your phone, and a surprisingly high number of our respondents said they do. We didn't expect that many people are opting for extra protection instead of just, say, just slapping a case on it, and going with the flow. 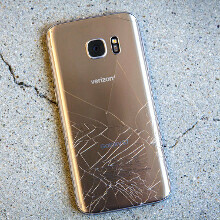 Given the proliferation of elaborate screen technologies like the curved AMOLED panel on the Galaxy S7 edge ($270), or the 3D Touch screen on the iPhone 6s Plus ($150), shattering those will cost you a pretty penny to replace, and some insurance options are better in that regard than no coverage at all, unless you are absolutely certain you will never drop your gear face down on concrete. That's the advantage that phone maker insurance like AppleCare or Samsung Protection, or third-party options like SquareTrade offer. Given that these phones cost north of $600, it's also worth looking at the carrier insurance options, as they also cover loss and theft protection for about $10 a month. In any case, the more expensive the handset, and the less desire in you to constantly worry about its whereabouts or fate during nights out, the more sense it makes to splurge extra for insurance. Are you currently paying for phone insurance? No. I use a case, and if need be I purchase a new phone (and chances are it would be 'next year's' model anyway). Great post! I had forgotten about this. i dont think most people know about it to begin with. Yes I am. I have used the Insurance to have My Phone replaced 3 times. With 2 of them being within a month of one another because of receiving Refurbished Replacement Phones that had different issues with each one that I received. $11.00 a month for the Insurance. One Service Representative told Me that I had to pay a Deductible and since I didn't like the Attitude of the Rep since they couldn't understand what a was explaining the Issue with the Phone, I hung up and got someone else on the Phone who did understand and they said that I didn't have to pay Any Deductible at all. So, for the Full Retail Price of the Phone even though it's a Refurbished Phone or the Price of the Deductible versus FREE REPLACEMENT with keeping the $11.00 for Insurance, I Will Always Choose to Pay the Insurance. I paid for over a year and was charged a $100 deductible to replace my phone. The refurbished piece of trash stopped working 10 days after I received it. When I called the insurance, they said I had 8 days to report any defects on my replacement device and it would be another $100 phone to get another refurbished piece of trash. I'll never pay for insurance or an extended warranty on a phone again. Either preserve your old phone or just buy a new, better one for better value. Its a ripoff. Verizon wants $11.00 a month--then on top of that if you use the insurance a $200 deductible is applicable. In two years with a insurance one claim it cost you $464.00. It's your risk though! There are phones and there are phones. I wouldn't pay for insurance either if I would have a cheap phone, but with a 6-700 euro phone things are different. I cracked a display (the first in 15 years of using phones, the first in 7 years of using smartphones) and it costed me 260 euro to replace it (it was a 5s without Touch ID; I don't know how much is 6s's or Edge's display in my country and I don't want to find out), which is as much as 4 years insurance fee + the deductible; my actual phone also needs to be replaced (I've dropped it a few times, it's scratched, cracked, the battery no longer holds as much power, it has a yellow dot on it) and I will get a new one for only 50 euros. I know, you don't drop your phones - that's what I have always said, until I dropped it.